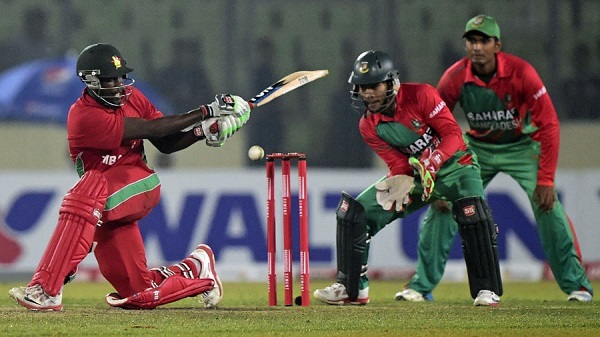 ZIMBABWE – Zimbabwe are going through one of the worst periods in their international cricket history and when they take on Bangladesh in the third one-day international at the Sher-e-Bangla National Stadium in Dhaka on Wednesday, they will be playing for pride. Bangladesh registered their fifth straight series victory at home with a 58-run win against Zimbabwe in the second ODI on Monday. Zimbabwe, on the other hand, suffered another humiliating series loss after defeats at home to India, New Zealand, Pakistan and Afghanistan earlier in the year. Bangladesh opener Imrul Kayes scored a brilliant 76 as the hosts made a good comeback after a poor start to reach 241/9 in 50 overs. Thereafter, pacer Mustafizur Rahman continued his good run in international cricket and returned with three for 33 as Zimbabwe were bowled out for 183 in 43.2 overs. Bangladesh have been winning matches throughout the year and a 3-0 win against Zimbabwe will only boost their confidence further. They look a like strong side with enough victories under their belt and it has happened due to the all-round performance from the team. Even in the absence of players like Shakib Al Hasan and Soumya Sarkar, Bangladesh look like a strong batting unit and Mustafizur Rahman and Mashrafe Mortaza have led the bowling attack well with a good support from likes of Al-Amin Hossain and Nasir Hossain. Zimbabwe’s biggest concern has been their inconsistent batting and unless the top order starts firing with more responsibility, it’s highly improbable that they are going to win against big teams. After the loss in the 2nd ODI , their skipper Elton Chigumbura said it was a chaseable total but they lost first three wickets early. “We consolidated well but unfortunately that run out before my partnership with Raza was important. The batsmen including myself gave it away,” said Chigumbura. To stand a chance of avoiding another series whitewash, Zimbabwe will have to put their demons behind and come out with an all-round performance.